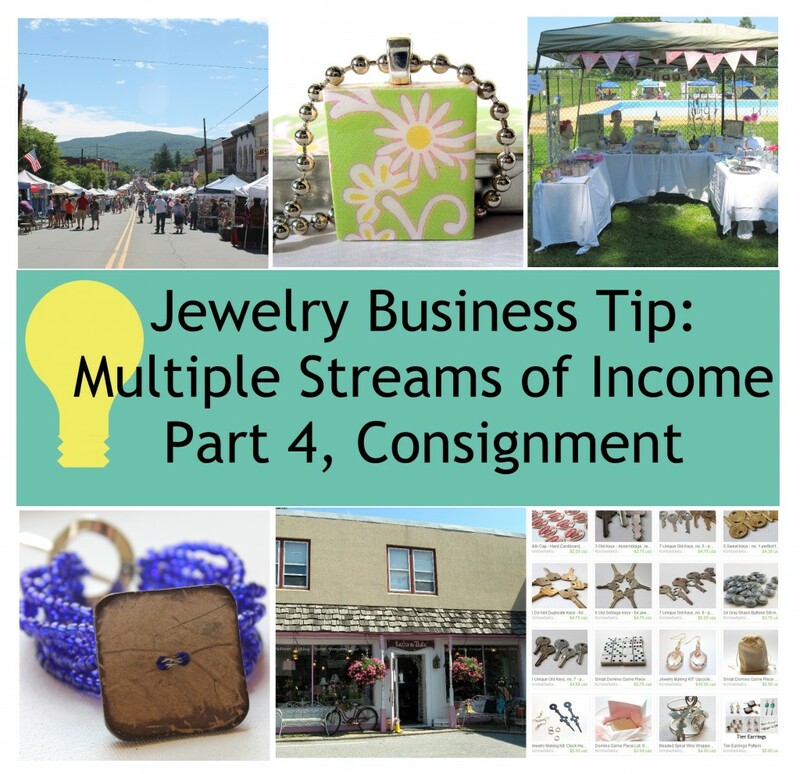 This Part 4 on a series of posts about multiple streams of income in handmade jewelry business. What is multiple streams of income? It’s a combination of income generating activities. It will mean different things for each individual depending on what you want your business to be and your life circumstances. For me, it meant that I sold online, at craft shows, in a retail space, at home parties and in shops. For you it could be a different combination. and today is Part 4 (Consignment)! Selling in shops on consignment can be a great way to get into stores and get your product out there, but it can also be very frustrating if you choose the wrong shop. You’ve probably seen or been in a clothing consignment store. That’s not what I’m talking about here exactly (although the idea is the same.) These are usually boutiques or gift stores that sell handmade goods. Often it’s a store that sells not just handmade, but a lot of different things. Oftentimes it’s a jewelry store or another specialty store of some kind. When I first started jewelry I didn’t even realize that it was possible to sell in shops. I thought I’d sell online and at craft shows and that would be it. Then as I did more and more shows, I started meeting people who sold handmade goods in their stores. In fact, they came to shows to find people to sell in their stores. Selling this way is great if you’re just starting. A lot of times it’s difficult to get wholesale accounts and this is an alternative to that. There’s no risk to the store since they don’t have to put out any cash upfront. It’s also a great way to get in more locations and thus find more customers. Typically you’ll have your own tag on your item, so that tag could have your business name and website on it. The split varies quiet a bit. It’s normal in my area that it’s 60 for the artist, 40 for the shop, but I’ve also done 70/30 and I did 50/50 in shops that were very popular and I knew it would be helpful for my business to be there. I also do a 50/50 split with a gift store that raises money for charity. You have to figure out what shops are the best fit for your items and decide from there if it’s a good idea. Someone else is taking care of your products. They may not display it where you would like it to be displayed or caring for it the way you would like. Your pieces could get damaged or stolen. It may not sell at all and then you have to decide if you want to pick it up or let them try to sell it for longer. Some shop owners are really great about paying for sales. Others are terrible about it. I have one shop that would not pay me until I called and emailed a few times. It was a terrible situation because the store was so cute and in a great location and the owner was a super sweet person, too. It just was so frustrating dealing with the getting paid aspect of it. It’s a business, so it’s kind of important to get paid. 1. Have a very clear contract. If the store doesn’t have one, find one and make it yourself for you and the shop owner to sign. In it you should include how long the products will be there, what the split is, who is responsible for stolen items and damage (which should be the store since it’s completely out of your hands). It should also be clear how often the store will be paying you for sales. Commonly it’s monthly, but biweekly is pretty common as well. 2. Always include an inventory sheet listing every single thing you’re dropping off when you drop off your products. Take two copies: one for the store and one for you. Have the store owner sign your copy for your records. 3. When you pick your inventory back up, check it against the inventory sheet and what you’ve been paid for to make sure everything is accounted for. 5. Check in at the store as often as possible. Don’t stop in daily, but every couple of weeks would be fine. Make sure your products are clean and in a place that they can be seen and sold. 6. Keep accurate records of everything. Know what you have where and for how long it’s been there. Know how well your products are selling and what exactly is selling. Keep stores stocked up with what is selling well. Pull out things that are not selling well. Check in with store owners to make sure everything is going well. 7. Promote the shop as well. I said above that the shop would promote themselves, but it’s nice to have a page on your website listing where people can find your products in person or to do a little blog post if you’re in a new store about the store. 8. Communication is key. If a shop owner has stopped communicating with you, it’s a bad sign. Take it from me, go get your stuff. Misunderstandings happen all the time. You’re an artist, they’re a shop owner. It’s really two different personalities in most cases. I had a huge misunderstanding with a shop owner once who was very friendly and very pushy. She didn’t listen to what I was saying and just kept pushing forward with what she wanted. When she finally heard and understood the situation (which I had been telling her all along) it turned into a huge mess with hurt feelings and her taking it to the internet. I am much more assertive now then when this situation happened. I don’t think I did anything wrong, per se, but if it were happening now I would speak up and make sure she heard and understood me. It was almost like we were speaking two different languages. As long as you are clear, have a clear contract and check up and communicate with the shop owner, consignment can be a very rewarding way to bring in another stream of income. 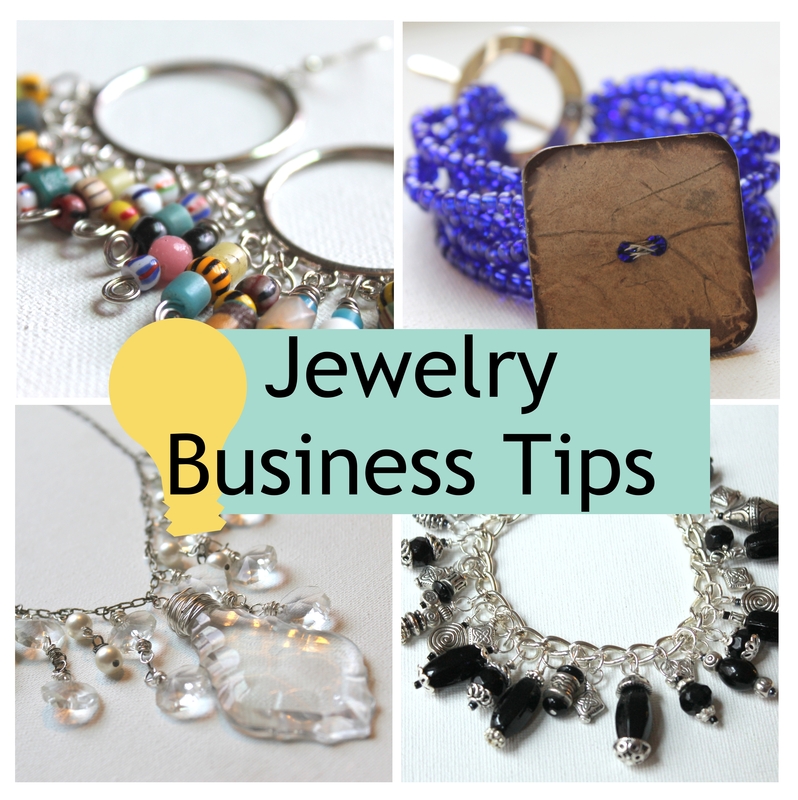 Want jewelry business tips in your inbox each week? Sign up for the Jewelry Business Tips Newsletter below. This entry was posted in Business, Jewelry Business and tagged consignment, how to sell jewelry, jewelry business tip, jewelry business tips, selling on consignment by Kimberlie. Bookmark the permalink. This is some really good information about jewelry sales. I liked that you talked about switching out inventory that isn’t selling well. It might be a good idea to advertise that you are going to switch out your jewelry. I would be more inclined to buy something if I thought it was going to gone after the sale.